For too long, the beautiful medium of watercolour has been confined to a paper-behind-glass niche. Now, with this exciting new ground, anything you’ve dreamed of painting with watercolour can become a reality. It’s easy to use—just brush it on—and incredibly versatile. Please note: Although this ground allows you to paint with watercolour on any surface, the results will differ from the effects achieved when using paper. We feel that this product is NOT a substitute for watercolour paper. Here are a few tips for getting the best results. 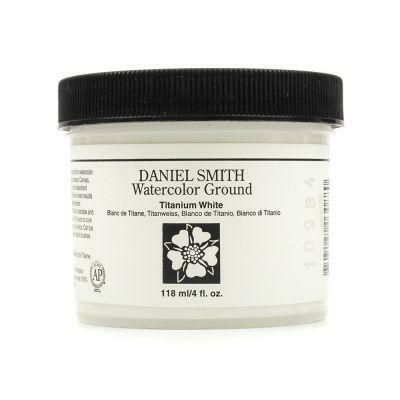 Absorbent or semi-absorbent surfaces require no special prep before brushing on DANIEL SMITH Watercolour Ground. These include paper, canvas and other fabrics, wood, plaster, shells and hardboard. Non-absorbent surfaces such as metal, plastic or glass should be lightly abraded with sandpaper or steel wool before brushing on the Watercolour Ground. We recommend using Watercolour Ground straight from the container. It has a thick, brushable consistency. Use a soft-haired synthetic brush for a smooth finish or a hog bristle brush for a more textured finish. Since the ground is pigmented with Titanium White pigment, one coat will cover most surfaces; very absorbent surfaces such as unfinished soft wood may require two coats, allowing the first coat to cure before adding the second. Wash brushes immediately after use. Let Watercolour Ground dry and cure for at least 24 hours. This allows it to attain the right degree of absorption. 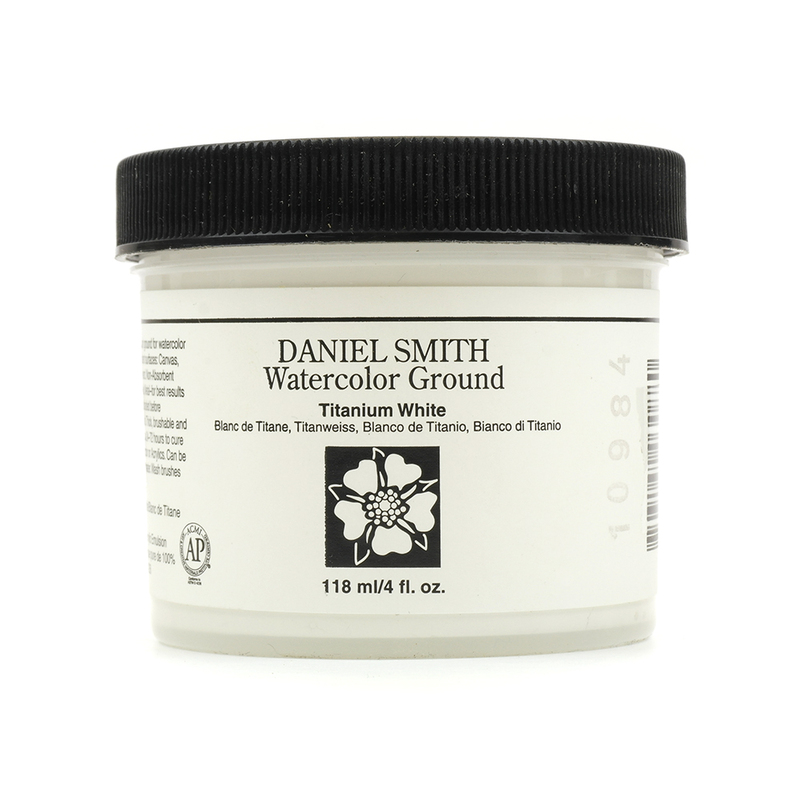 DANIEL SMITH Watercolour Ground works beautifully with watercolours and thinned acrylics. Because it creates a surface more absorbent than paper, you will want to use less water with your paint. Experiment and see what works best for you. It also works beautifully with DANIEL SMITH Masking Fluid.